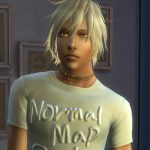 Please read below before using my Custom Contents,Mods and Sim files. By using these you agree to be bound by these Terms. EA does not support Custom Contents and Mods. Please use them at your own risk. Sure! I would be glad if you use my stuff in your screenshots,and I would be happy to see my stuff in a profile thumbnail or something. I forbid the reuploading of my files to any sites. Please Do Not include with Your Sim files. 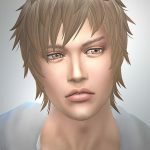 There is a case where my Custom contents are updated by fixing issues. Do Not include my files with your sim files. Please add a link to my blog as a way to get these. No problem, but please Do Not include my meshes. There is a case where the mesh datas are updated by fixing issues. Please add a link to my blog as a way to get meshes. No. Please Do Not copy,modify and convert my files. Also please Do Not convert my Custom Contents to other games without permission. If you’re going to convert them to any other games,please contact me. Do Not convert my Custom Contents to other applications or games which can be re-uploaded them such as avatar by other users. However,only in the case for your personal use (if you’re never going to upload it somewhere),you may modify and convert without permission. Actually,I want to convert my stuff by myself for the Sims fan like me,but I don’t have a creation environment for those. If you upload them to somewhere,please be kind and write my name as an original creator. Please Do Not upload them as pay items. Also,please refrain to use Adf.ly (or advertise affiliate links like that) It seems there are some problems by showing advertisement forcibly. Plus,I can’t really agree with making money using other person’s contents. I don’t like it when my stuff is used for things like that. Any time you use something of mine, please be kind and credit me. I feel happy to see my name in print. I upload my files after testing and checking. However depending on the PC environment,there may be a case where my Custom Contents do not work. Please note that I may not be able to help individually.